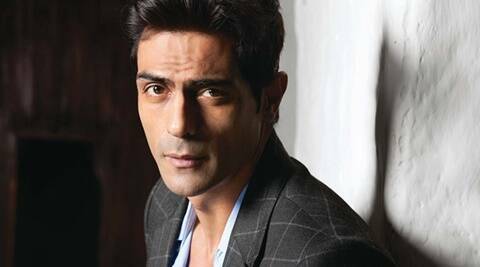 Arjun Rampal's next release is J.P. Dutta's Paltan, a war movie which the actor is thoroughly enjoying shooting. After that, the actor will be shooting for a film called Nastik, based on an atheist. On the career front, Arjun Rampal’s last release was his ambitious biopic on Arun Gawli. There’s no noisy birthday party for Arjun Rampal, who turned 46 on Sunday. The actor says he has walked enough on the “wild side” and prefers a calm life with a “rock-steady family life and an adventurous career”. “It’s just around 30 close friends, meeting up having a good time together. Nothing else,” Arjun said of his party plans. “After you reach a certain age, you no longer want to indulge in wild parties. You just want to be with close family and friends. I’ve seen enough of that life. I’ve walked on the wild side. Now I like my life calm. Spending time with my wife and two daughters gives me a bigger high than anything else,” he added. At 46, what are Arjun’s thoughts on his life and life according to Bollywood’s rules? Arjun’s next release is J.P. Dutta’s Paltan, a war movie which the actor is thoroughly enjoying shooting. “It’s my first time with J.P. Dutta and also my first war movie. I’ve always enjoyed films of that genre, especially J.P. saab’s ‘Refugee’ and ‘Border’. I am glad to be in one,” he added.